But he is part of a larger organized crime syndicate than the Mafia could ever hope to become. I don’t know if he’s actually referring to every person who has questioned man-made global warming theory, or if he’s only talking about the fossil fuel industry bosses. RICO (Racketeer Influenced and Corrupt Organizations Act) laws have been used to bring down Mafia bosses and other organized crime leaders. Even though the leaders may not have necessarily committed murder themselves, the RICO Act allowed prosecutors to go after them based on the fact that they ordered others to do it for them. So, perhaps this Senator is suggesting that we just go after the fossil fuel crime syndicate leaders and then only give us everyday skeptics minimal sentences since we were “led astray” by our crime bosses. RICO has been used by prosecutors to go after the tobacco industry, calling their efforts to cover up unfavorable health studies racketeering. If you think it’s a stretch to treat the tobacco industry like the Mafia, how much more of a stretch is it to treat global warming skeptics like the Mafia? 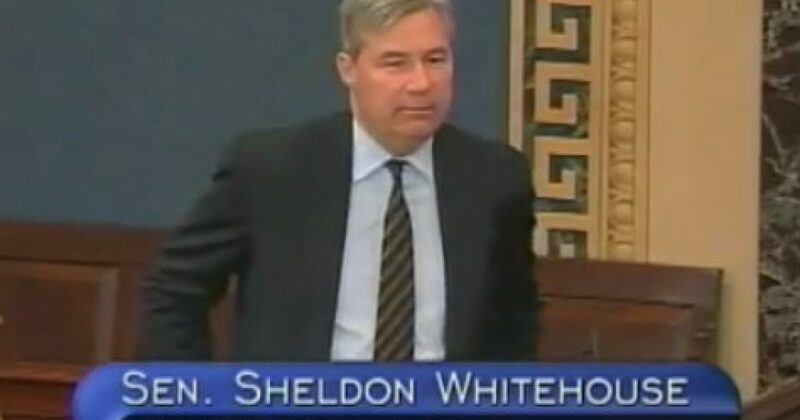 Here’s what Senator Sheldon Whitehouse from Rhode Island said in a Washington Post op-ed.